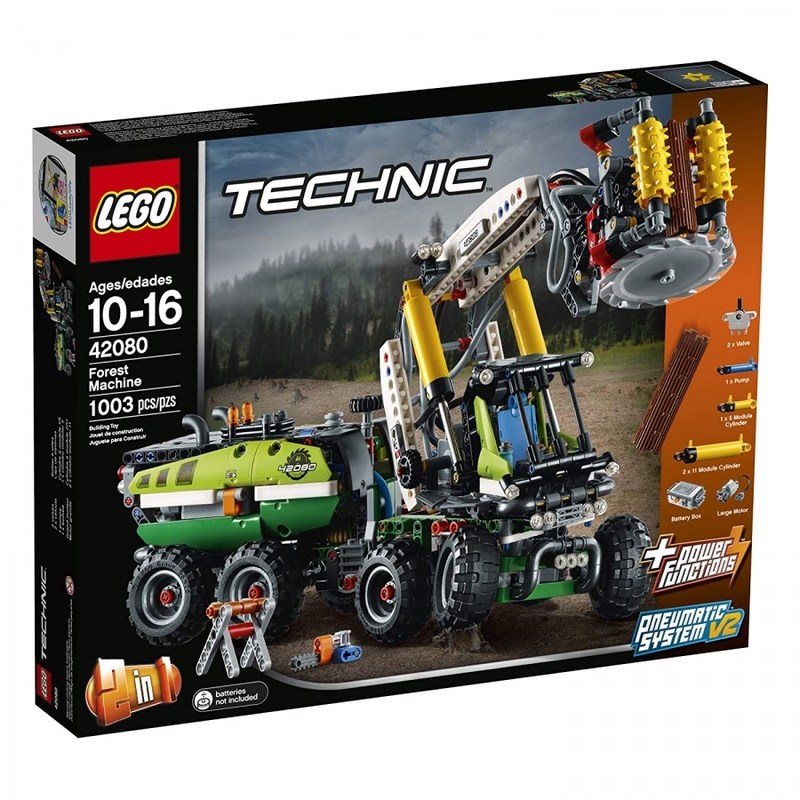 Enjoy a rewarding build and play experience with the LEGO® Technic™ 42080 Forest Machine. This detailed replica of a real-life forest harvester comes with lots of realistic features, including working suspension, articulated steering and a multi-directional harvester head with a spinnable cutter blade. Activate the included LEGO Power Functions motor and engage the advanced pneumatic system to operate the motorized boom and grabber. You can also rotate the driver's cab to move the boom through more than 180°. This 2-in-1 advanced building set comes with 2 buildable tree trunks and rebuilds into a rugged Log Loader. Also features articulated steering, working suspension, multi-directional harvester head with a spinnable cutter blade, and a large rotating driver's cab. Engage the advanced pneumatic system and operate the boom and grabber to lift the tree trunks, then rotate the driver's cab to move the load through more than 180°.